If you have a great shooting opportunity again, consider upgrading to a 17HMR. More range, great accuracy and much more killing power. Watching critters explode is impressive. The ammo is more expensive, but deals can be had. If you decided to go that route, I would not recommend the Ruger 77/17. Had one and got rid of it because the accuracy went to hell when the barrel heated up. Look for a Marlin. Savage is ok on the cheap end, but requires a lot of fixing to get it right. A friend just bought a CZ 17HMR for under $500 and it outshoots the much cheaper Savage he bought a few weeks before; only $200 difference. But, if you are set on a .22, I would agree with the CZ recommendations made here. Nephew bought a new one and it shoots .5" groups at 50yds routinely....just as good as my more expensive .22s. I'll have to say, I have one of those boat paddle 77/22's, and I love it. Now, the thing would not shoot, but I still love it. I will never sell it. To that end, I sent it off to Randy at CPC, and he fixed it up. Now, it's close to a $1000 rifle. If I'd have known that when I bought it, I never would have gone that way. If I wanted bang for the buck, I'd start with a CZ 452/3, basically the same gun, discontinued, hard to find, but you may come across a deal. After that, I'd have no problem getting a nicer Savage. The 93's are nice. I have no experience with Ruger's newer rimfire rifle offerings. Ruger's own American Rimfire rifle probably had more to do with discontinuing the 77/22 in 2016 than the CZ 452, 453 and 455. The Ruger was slightly more expensive in stores that sold both, and the CZ 452, 3 and 5 series rifles arguably shoot better out pf the box. However, the 77/22 had some significant pros in its corner. The 77/22's magazine is superb - arguably the best detachable magazine ever made for a bolt action .22. The fact that the BX series 10/22 magazines work just fine in the 77/22 doesn't hurt either. And you can still get a 77/22 magazine for about half the cost of a CZ magazine. What the 77/22 could not compete with was the budget priced American Rimfire. It has none of the grace or charm of the 77/22, but it's cheap and it appeals to the same crowd who buy the 10/22 (a pale shadow of it's former self) and then "upgrade" it with third party aftermarket parts. Basically a Lego set for shooters. Price wise you'll see the synthetic stock 77/22 at around $500-$550, the walnut stocked, blued rifles will sell in the $600-$700 range, and the rare variants like the boat paddle all weather models will start around $800-$850. Some of the even less common variants will top $1000. The above numbers are based on recent completed sales on GB. You can however still find some good deals out in the wild. 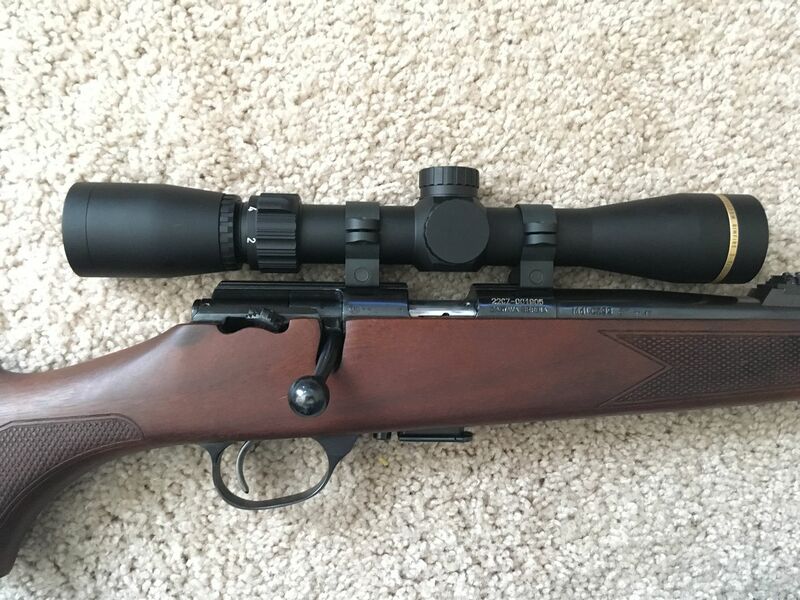 I recently purchased a 1984 vintage 77/22 in near mint condition (but no box) with a nothing special Simmons scope for $489. I noted it was placed 5 rifles back in a used rack with some very non attention getting used .22 LR rifles and after letting it sit there a month until I had spare discretionary cash, I offered them $425 and they took it. It was was a good buy at $489, and even better at $425. The poor display probably had a lot to do with that gun shop being an aggressive CZ dealer busy selling the current (and IMHO really ugly) CZ 457, and they just weren't inspired by a 77/22 they probably took in on trade. I removed the Simmons scope and installed a Nikon I had sitting on a shelf and it should be a very good shooter, once I replace the trigger spring and sear with a Timney or Volquartzen, and shim the bolt. The need to make some changes is part of the problem Ruger had with the 77/22 in terms of competing with CZs. A CZ 452 453, or 455 could be relied upon to shoot really well out of the box with mid range or better match ammo, and the 453 had a very nice adjustable trigger out of the box. I get 5 shot 1 MOA accuracy at 100 yards with both my CZ 453 American and my CZ 453 Varmint using SK Std Plus or SK Match. The 77/22 on the other hand normally has a heavy and gritty trigger pull, and accuracy can be a bit of a crap shoot, at least in terms of getting 1.5 to 1.0 MOA accuracy out of the box. Most benefit from shimming the bolt, and a few need to have the barrel set back and rechambered to reach their potential. On the plus, side, like the CZ 455, they are easy to rebarrel and if you spend $275-$400 on a new barrel for it from Shilen, Green Mountain or Clark along with the shims and trigger modes, they are superb shooters. On the other hand, while both the CZ and the Ruger are well finished, CZ took a short cut with a stamped trigger guard where Ruger uses a nicely finished investment cast steel part. The other option out there right now at a great price is the Zastava MP22 / CZ99 Precision. It can be had for around $250 new, and around $185 used, has a very stiff receiver and shoots very well (about 1.25 to 1.5 MOA at 100 yards). The metal work is very nicely polished and blued - the best of the bunch when compared to the Ruger and CZ. It also has a very nice adjustable trigger. However, it has two issues that can turn off buyers. The first is the long hooked extractors. They work great if you pull the bolt back rapidly, but if you move the bolt slowly the right hand extractor won't release the case. You have to shorten and round the end of it slightly, and then it will work just fine at normal bolt operation speeds. The good news however is that this trait causes the MP 22 / CZ 99 Precision to show up on the used market in almost never shot condition at sub $200 prices. 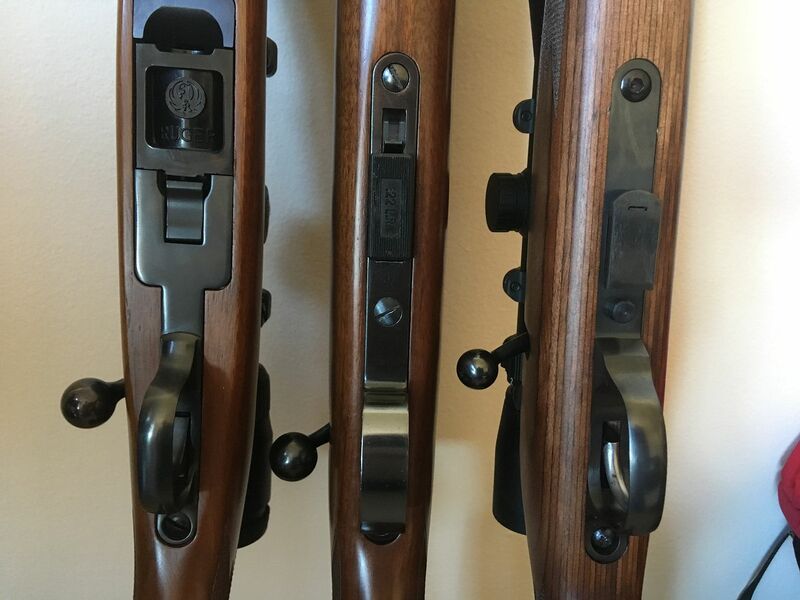 If you strip the stock and apply an oil finish, it will look quite nice, but a quicker fix is to spend about $80 on a NOS Remington Model 5 stock. Remington sold the CZ99 Precision with a laminated stock as the Remington Model 5 and a Model 5 stock makes for a sharp looking MP22 / CZ99 Precision. Below top to bottom are my Ruger 77/22, my CZ 453 American, and one of my Zastava CZ 99 Precision rifles in a Remington stock. The CZ edges them both out in terms of accuracy but the Ruger and CZ will still hold 1.25 MOA at 100 yards. The Zastava arguably has the best polish and blue, and the Ruger has the best magazine and has almost centerfire styling and details. All three have nice lines and are well proportioned for adult shooters. They are also arranged top to bottom by used market price with the Zastava offering by far the most bang for the buck, even after a new stock and some extractor work. Last edited by Model 52; 03-23-2019 at 03:47 PM. I really enjoyed that, Model 52. Thanks for sharing! Yeah, that was a nice writeup! Makes me want a CZ99. Never heard of it, though. Did it come without sights? A search on GB for both C99 & Zastava MP22 shows only 1 hit total, a $289 MP22. Last edited by clr8ter; 03-23-2019 at 12:59 PM. CAI had been importing them until recently (January/February 2019). However, Zastava Arms USA recently announced it would be the sole distributor of Zastava rifles in the US, so that'll limit the options. They are apparently only going to sell them through their dealer network and they don't seem to be getting on that real fast. The end result is almost everyone that sold them in the past is now out of stock. Zastava Arms USA has them in stock, but they won't sell you one directly, and their MSRP is about $40 more than their previous real world selling price. They do come with sights (and you can see them on the bottom rifle). 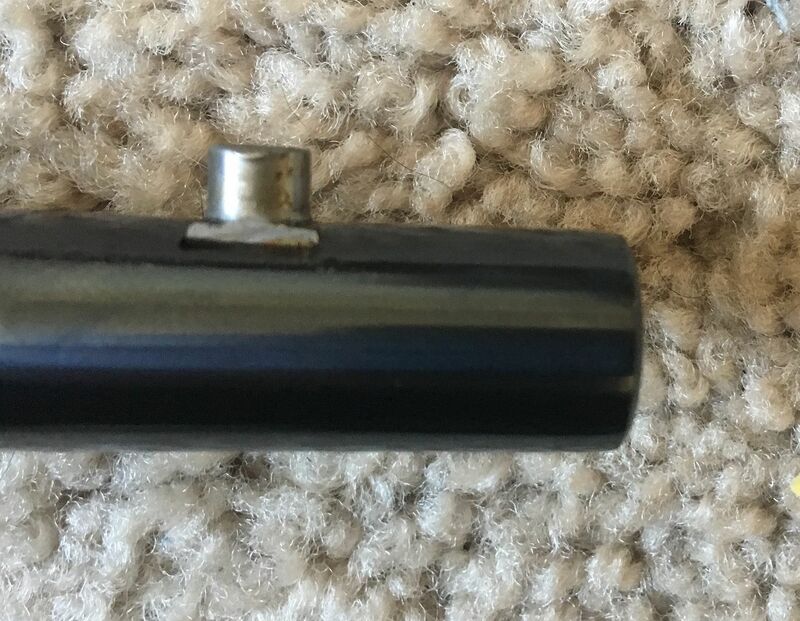 In fact, if you remove the hood and then drift the front sight out of the ramp, you'll find a larger than expected screw that is screwed into a post that sits in a dove tail in the barrel. So if you want to remove the the front sight, and have it look right, you'll need to cut a piece of mild steel dovetail stock, mask of the barrel, install the dove tail stock in the dove tail and file it to close to final shape. Then hammer it into place, file it to final shape then cold blue it. Done correctly (and very carefully) all you'll see is a very thin line between the barrel and the dove tail insert. But doing it right takes some skill and some time. Last edited by Model 52; 03-23-2019 at 04:13 PM. [QUOTE=dddddmorgan;10457610]In 2000 I moved to Havre Montana for work and fell in love with gopher hunting. The population of Richardson's Ground Squirrels cannot be overstated! We call them sage rats here and I have been trying to help eastern Oregon farmers control these for over 40 years but don't get out there as much anymore. They can be a real problem sometimes but a lot of fun to shoot. 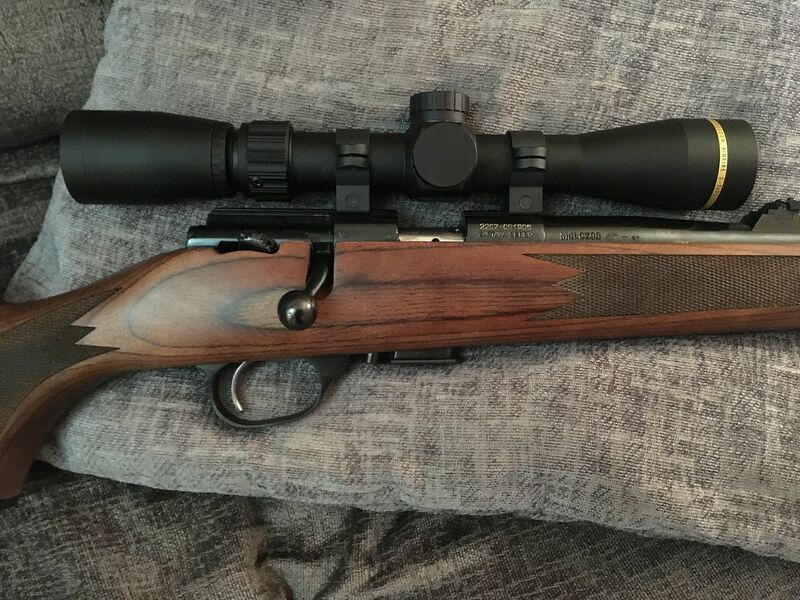 I have recently replaced my CZ 452's and really liked them, but for "gophers or sage rats I am almost 100% using 17 HMR or 17 WSM. You don't have near the ricochet problem which a lot of the property owners worry about, plus they are much quicker and flatter shooting. I have a 77/17 in 17 WSM and a Tikka T1X in 17 HMR that are my designated rat guns. What I really like the best about the Rugers is the magazines. They may need some tweaking but when you have one that shoots they are hard to beat. I am a big fan of the Ruger American Rimfire bolt action rifles. Mine is in .22 magnum. I really like the trigger out of the box and it can be greatly improved with some spring changes. Mine is blued steel and the low cost plastic stock which comes with to interchangeable comb options. I would love to have the stainless steel model, but I was impatient and couldn't wait for them to introduce it. 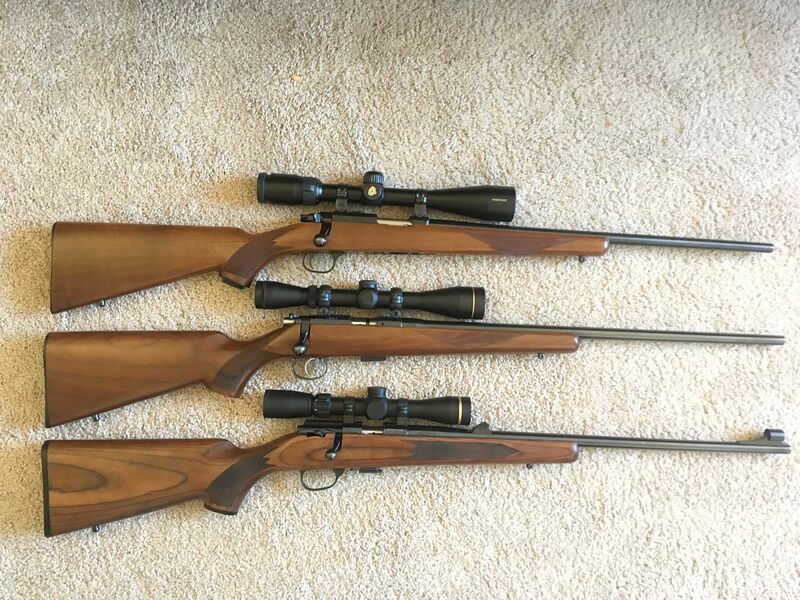 I have a CZ 452 Silhouette, CZ 455 American, and 3 boat paddle 77/22’s all in .22 lr. I guess you can tell what I’m partial to. Lol. I also have a Browning T-Bolt that I haven’t shot yet. My latest purchase is a Tikka T1X. I need to mount a scope on it so I can get to shooting it. No matter how much I like my many other .22’s, my 77/22’s will always be my favorites!!! I can agree with that! But, all of mine are the stainless, zytel boat paddles. This or that? Ruger, Zastava or CZ. All are fine rifles , with their own pluses and minuses. Pick the one you want , they all shoot fine, some may need a little tweaking, some may not. My 77/22 , an early model, I got in a trade. No tweaking necessary, must’ve been pre tweaked. The Zastava, nib, on sale at Cabellas, extractors needed a little filing, too long and so got pushed off the rim, CZ nib, lgs, not a tweak needed, but leaving the rear sight on made finding a scope short enough a challenge. Last edited by Toomany22s; Yesterday at 08:41 PM. I have a 77/22 stainless varmint with the laminate stock that I rebarreled in 17hm2 with a Shilen barrel. The thing is an absolute laser beam. Wickedly accurate. I haven't shot it past 125 yards - I could hit coke bottle caps at 100 yards all day long. I don't hardly shoot it at all anymore as it is fairly heavy and our squirrels here in SC are the tree kind, not the ground kind. If I had someone who really wanted one, I could probably be talked out of it.